Built for rehabilitation purposes and stress assessment. 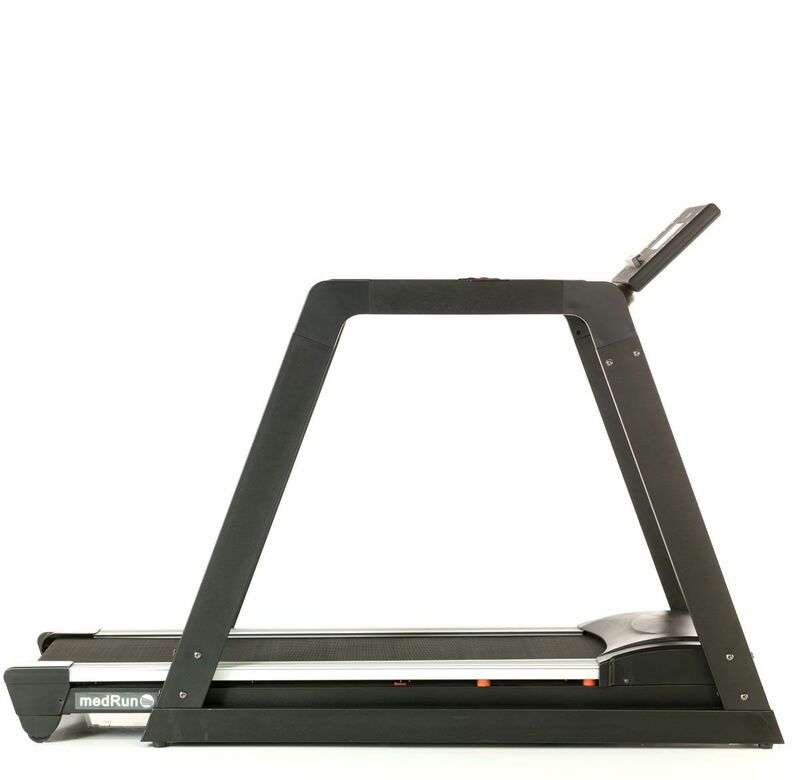 The MedRun can be used for rehabilitative, medical, and sports conditioning. 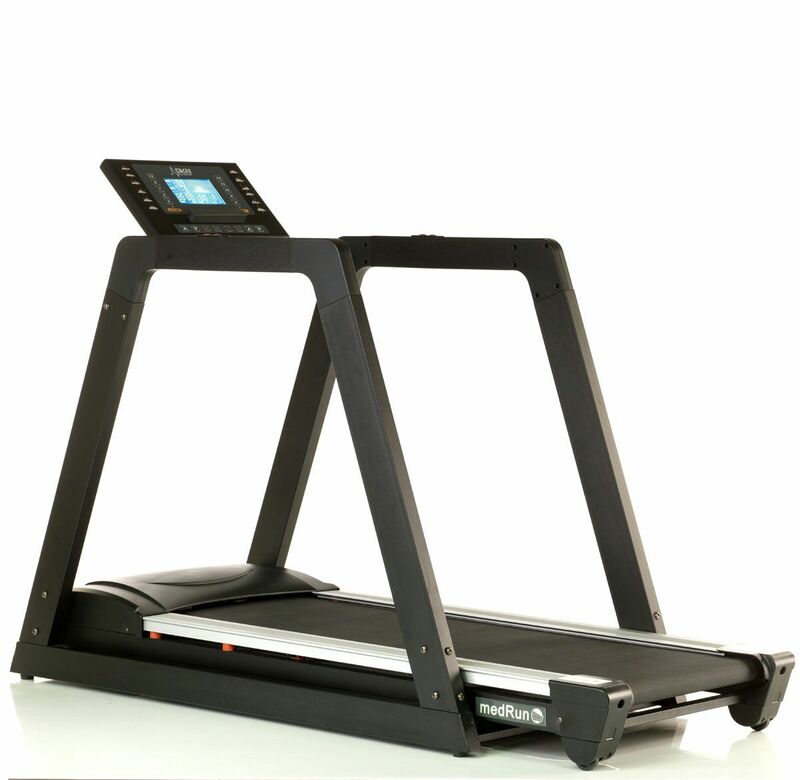 The medRun has been developed to provide an accurate tool for rehabilitation purposes and stress assessment. 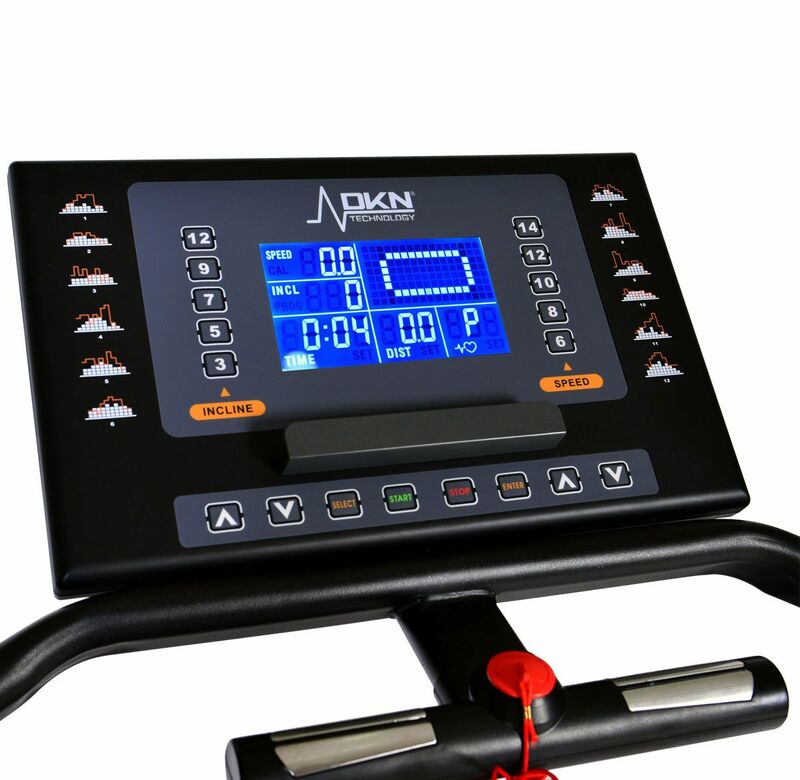 This treadmill can been used for rehabilitative, medical, and sports conditioning therapy. The low-deck design offers a very low step-up for an easy entry and exit, and the handrails assure a firm and ergonomic support to users with a limited mobility, without obstructing the training space. The medRun uses a next-gen drive Motor, offering 2.25 horsepower continuous-duty drive motor, which can go up to 4 hp without overheating, and which is surprisingly quiet. The belt starts moving at a very slow 0.5 kph, and speed can be adjusted with 0.1 kph increments. This is a comfortable and safe treadmill for rehabilitation training, with the running deck offering a stunning 52 x 140 cm area. 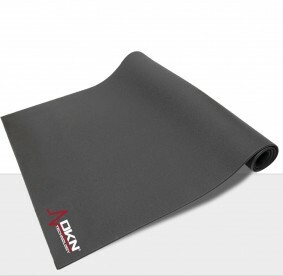 The medRun is also equipped with a 3 mm orthopaedic running belt, using durable tread belt fabrics, reducing sound and producing a lower coefficient of friction. To maximize cushioning and support, we adapted the ‘Progressive Shock Absorbing’ flex deck which reacts with every stride. The medRun also uses large diameter rollers which require less tension than smaller rollers since they have more surface area to grab the belt. The medRun is compatible with interfaces such as BitGyn and Kinomap (App's), connecting via Blue Tooth, allowing the medical professional to program and control every rehab training using an external device (tablet) without having to interfere with the console itself. The versatility of those App's enables doctors, physiotherapists and sport trainers to devise and implement personalized training protocols. Kinomap allows recording of the patients’ session data for evaluation. 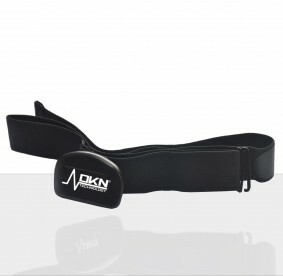 For cardio assessment and evaluation the DKN medRun is compatible with standard wireless heart rate registration.